Military Cemetery/Memorial / Fynwent milwrol: Kirechkoi-Hortakoi Military Cemetery, Greece. Died in Hospital on 7th December 1918 in Salonika, Greece. David Jones’ Record of Service Card 1914-1919 at Flintshire Archive Office at Hawarden, informs us that David enlisted on 1st March 1915 into The Military Mounted Police. His regimental number was 6572 and he died on 10th December 1918 in hospital at the age of 29. His address on elistment was Old Mill House, St, Asaph. The card was dated 19th September 1919 and signed by W. Charles Jones. I have attempted to find the Jones family on Census forms but unfortunately cannot as yet find a positive link with David Jones. We are advised by this newspaper article that David Jones was home on leave and that he was in the Military Mounted Police, Welsh Guards. It also shows his father’s name, William Jones and the address, Old Mill House, St. Asaph. 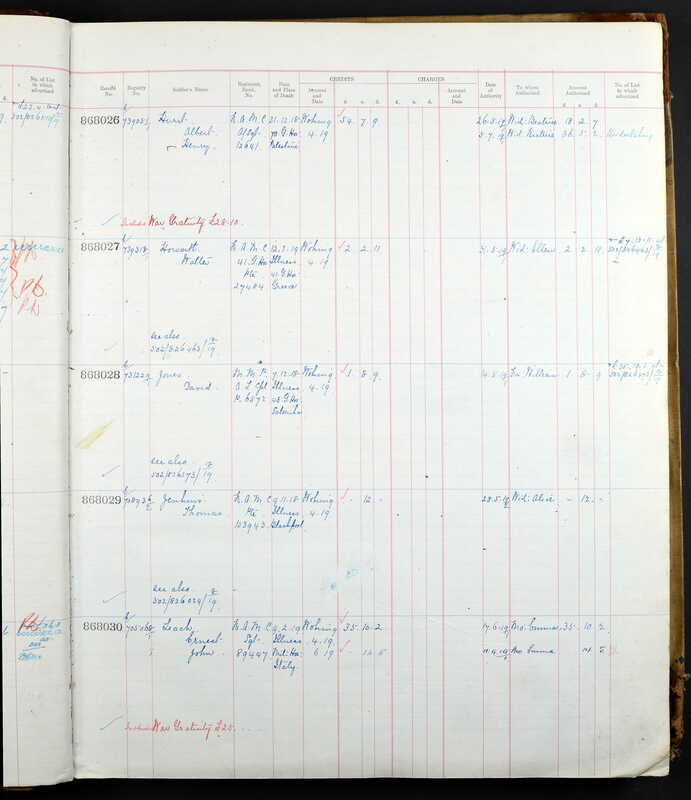 Soldiers who Died in the Great War 1914-1919 on Forces War Records states that Lance Corporal David Jones, regimental number P/6572 died on 7th December 1918 in Salonika, Greece. Also, David’s next of kin is shown as Father, William Jones, 3 Tyn Morfa, Gwespyr, Chester. David’s Last Effects were sent to his family.